In this stand-alone sequel to his acclaimed debut novel My Father, the Angel of Death , Ray Villareal touches on serious themes such as drinking and driving, lying to loved ones and even steroid use. Author and educator Villareal once again writes a compelling novel for teens that explores the impact of making poor choices and choosing the right friends. 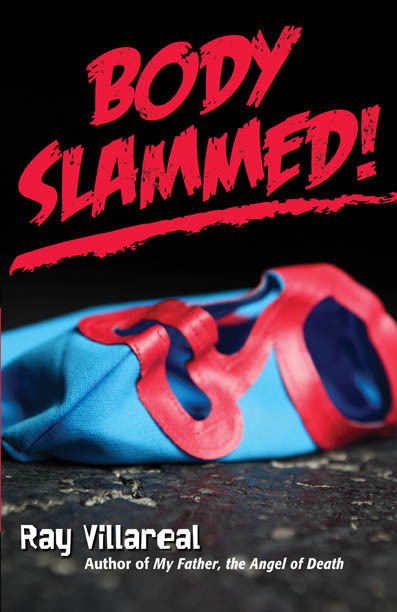 RAY VILLAREAL is the author of five novels for young adults that capture the angst of adolescent life: Body Slammed! (Piñata Books, 2012), Don’t Call Me Hero (Piñata Books, 2011), Who’s Buried in the Garden? (Piñata Books, 2009), winner of LAUSD’s Westchester Fiction Award, Alamo Wars (Piñata Books, 2008), and My Father, the Angel of Death (Piñata Books, 2006), which was nominated to the 2008-2009 Lone Star Reading List and named to The New York Public Library’s 2007 Books for the Teen Age. His latest novel, On the Other Side of the Bridge, was published by Piñata Books in October 2014. Villareal worked for 30 years as a teacher and an instructional reading coach with the Dallas Independent School District, and his knowledge of kids is obvious in his characters’ dialogue and the problems they deal with. As Kirkus Reviews said in its review of Who’s Buried in the Garden? : “a solid glimpse at seventh-grade life from a writer who understands the age—biography reports, friendships made and lost, crushes, misbehavior and, sometimes, quiet heroism.” He graduated in 1981 from Southern Methodist University with a Bachelor of Arts in Elementary Education with an emphasis in Bilingual Education. In 1991, he completed his Master of Liberal Arts from the same university. He lives with his family in Dallas, Texas.